Your work days are demanding and tough, and that's a good reason to pamper your hardworking self with this Wrangler Riggs Men's Forest Green 3W750 FG Long Sleeve Henley Shirt. It's workwear that feels good, looks good, and wears like iron. Crafted in a blend of ... (see full details) (see specifications) #WRG3W750FG. Your work days are demanding and tough, and that's a good reason to pamper your hardworking self with this Wrangler Riggs Men's Forest Green 3W750 FG Long Sleeve Henley Shirt. It's workwear that feels good, looks good, and wears like iron. Crafted in a blend of natural, breathable, 100% cotton ringspun jersey, this soft and smooth men's pullover cradles you in comfort. The fit is relaxed for easy-wearing all day long -- and it's ideal alone or layered with shirts, sweaters, and jackets. This classic Henley design features a comfortable flat neckline with a taped neck seam and a 2-button placket. A tagless label means you won’t be bothered by a scratchy, annoying label. A left front chest pocket and a handy utility loop add convenience. This relaxed-fit tee is made to last with triple-needle stitching that adds to the life of the garment, and the vented side seams are taped for comfort and longlasting wear. For comfort, style, and convenience that's perfect for both work and casual wear, order this Wrangler Riggs Men's Forest Green 3W750 FG Long Sleeve Henley Shirt today, right here at Working Person's Store! This product is at the top of its class , offering excellent comfort , durability , at a very reasonable price. I purchase everything I wear to work, and outside of work here at the working person store. Thank you so much. Body length is short, sleeves are short. Fit is ridiculous. Sleeves ride up my arm about 3 inches. Body length barely covers waistband. If I were to reach upward, my belly button would show. I'm not known for having a six-pack. I have several of these Riggs T's and they just don't wear out, they fade somewhat after 5 or 6 years but do not wear out, my wife makes me give them away to Goodwill when they get too faded for her, not for me, I'd wear them til they were white, LOL. Only thing I don't like is they are way bigger than their sizes indicate, if you wear an XL, you should probably buy a L, the XL's ordered are like a gunny sack since I lost about 10 lbs., I'll order L next time out. All in all I give them a 5 star, sizing is just all on your own choice. 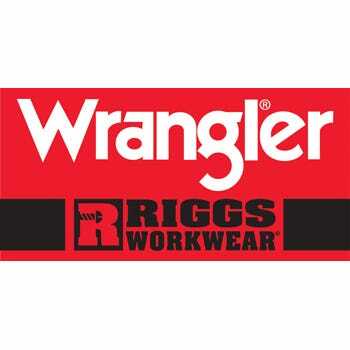 I got this Wrangler Riggs Shirt for Christmas. The stitching and quality are fantastic and the shirt is very comfortable. The only issue is minor for me but I can see it being a big issue for others. The sleeves run short, after the first wash they only reached the bottom of my wrist. Not the end of the world as I wear it as a layering shirt because I don't like to wear a heavy jacket even in winter. But I can definitely see it being as issue for some people. Wrangler Riggs Shirts: Men's Forest Green 3W750 FG Long Sleeve Henley Shirt is being added to your cart.